I finally made it to Seoul. As I was on a trip around the world last year, it has been on my list to see South Korea. Due to the fact that I extended my trip to Japan, I couldn´t make it to South Korea in the end. 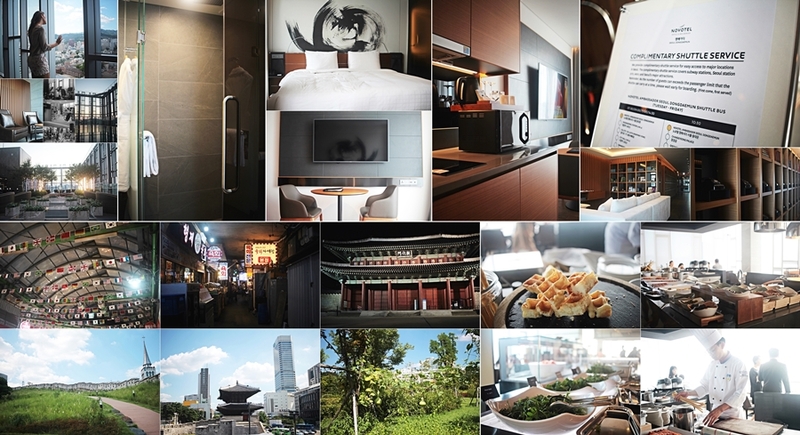 It has been one of my travel goals to see Seoul and I was so happy to finally visit the city, staying at the Novotel Ambassador Seoul Dongdaemun, which invited me for a two nights stay in the lovely property.. 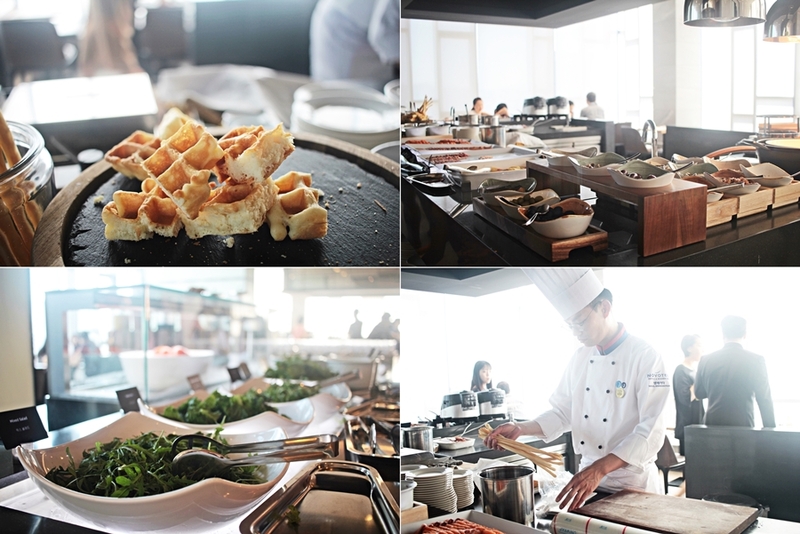 The Novotel Ambassador Seoul Dongdaemun just recently opened in July 2018 and is a 5-star property and part of Accor hotels. The hotel has 523 rooms and 21 floors. The Novotel Ambassador Seoul Dongdaemun is a little different from the other Novotel hotels, as it´s the first Novotel that actually features residences and hotel rooms. The hotel offers a total of 192 residences among the 523 rooms. Moreover it´s the 500th Novotel in the world. A huge benefit for my arrival at the hotel was the super central location. Besides busses and trains, also plenty of sightseeing spots and attractions are located near the hotel, making it a perfect hotel to discover the city by day and night. The N Seoul Tower is only 2,2km away and the Dongdaemun market and fashion streets is a short walk of 2 minutes away. 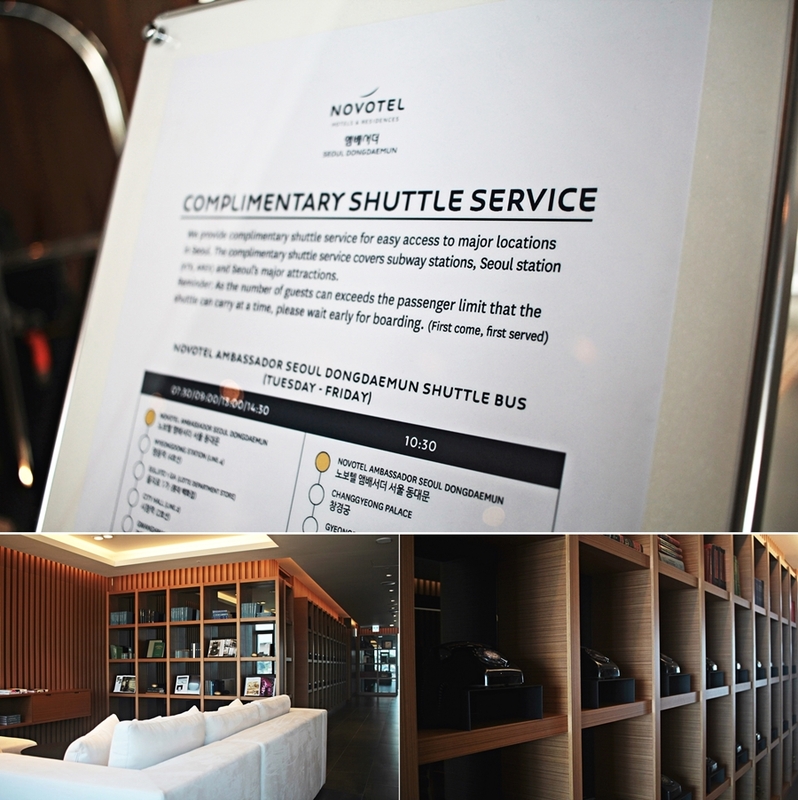 Besides that, the hotel also offers a complimentary shuttle service, which stops for Seoul station and Myeongdong district, just to name a few. I was super surprised, as my room has a kitchen, fashion machine and even fridge. As the hotel is still pretty new, all facilities are in very good condition. 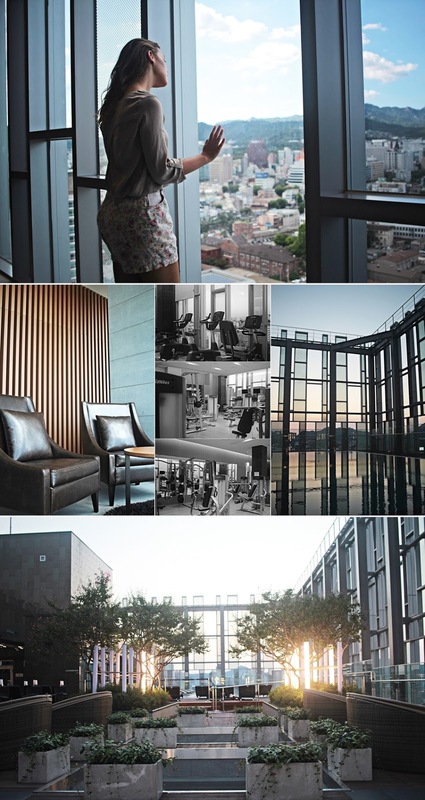 The design is very modern and suits the vibe of an urban jungle like Seoul. Besides, the rooms come with wide windows and beautiful views. It´s a true highlight to watch the sunset from the rooms. The rooms start with a size of 22,6m2 and reach up to 44,2m2 for the premier suite. There is a total of 4 different room types and 4 different suite types, which come with a maximum size of 109,3m2 for the Dongdaemun Suite. My favorite spot in the hotel was the rooftop pool in the 21st floor. I still remember, that I went there for the sunset on my arrival date, while playing in the pool. Other than that, I really liked the atmosphere on the rooftop, as music was played as well. The 21st floor also features the indoor pool and a gym. Another detail to mention is that the check in is located in the 20th floor, so the first thing guests will see is the sky and the tall buildings of Seoul. The lobby also features seating options for those who want to interact with other guests or simply see Seoul from another angle. The Novotel Ambassador Seoul Dongdaemun is, as mentioned, grand opened, but compared to their service, the hotel is already running fluent in service and everything works smooth. I enjoyed my stay and haven´t had to take the metro once, as I was using the shuttle and could easily walk around. The property building is located on main street and the area feels very safe. Even in the night, walking alone was fine. Again, I want to highlight the hotel shuttle, which is an amazing feature for in house guests. I hope that the Novotel Ambassador Seoul Dongdaemun keeps performing that well.